PUMPKINPALOOZA IS BACK, WITH A HOLIDAY TWIST! Join us on November 18! Heavy rain in the Brazos Valley caused the October date of Pumpkinpalooza to be moved to November 18. The new event, now called the Holiday Harvest Festival & Pumpkinpalooza, will be updated with Thanksgiving and holiday themes, but with the same fun pumpkin-chunkin spirit we have come to know and love at Pumpkinpalooza! Admission is $5 (ages 5 and up), and proceeds benefit the non-profit Millican Alliance. Proceeds from Pumpkinpalooza Weekend support the mission of the Millican Alliance in the Brazos Valley. The Millican Alliance is a 501(c)3 organization. Clear your calendars, save the date and start practicing your Pumpkin Chunkin’ because Pumpkinpalooza 2018 is almost here!! The Millican Alliance welcomes you to Millican Reserve on November 18 for the 6th annual Pumpkinpalooza Weekend. From delicious local fare, to live music, to family-friendly outdoor fun, there is something for everyone at the Holiday Harvest Festival and Pumpkinpalooza. Keep scrolling for details! The Northwest Cycling Club of Houston presents their annual Fly Vie13CX event at Millican Reserve. Click here to see the race schedule. Join us for an evening of delicious food, live music, and more! The Texas Twisters and friends take the stage as you dance the night away under the stars. 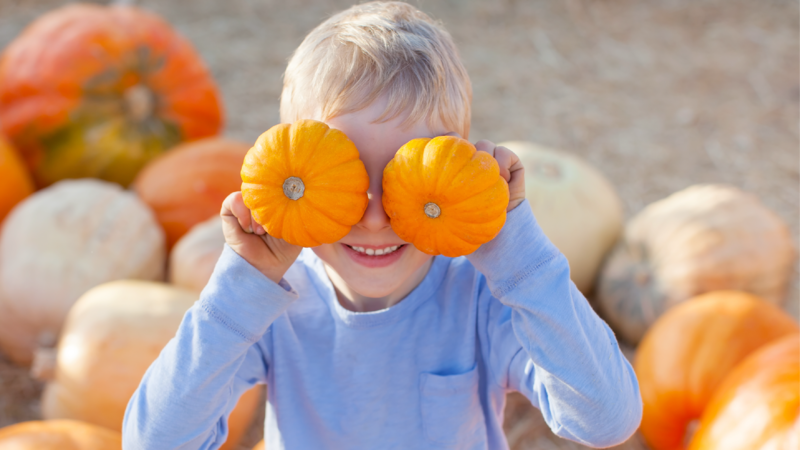 Pumpkin chunkin' and so much more! Come ready to chunk pumpkins to your heart's content at the Holiday Harvest Festival & Pumpkinpalooza 2018! Join us on Sunday, November 18, in a celebration of fall! Play outdoors and get a jump on your holiday shopping while raising funds for a great cause. This is the rain date for last month's Pumpkinpalooza 2018, so we are adding a pre-holiday twist to the festivities! Your $5 entrance fee includes a free raffle ticket, entrance to the kids zone, Holiday Season Activity zone, live music, and a full day of outdoor fun, including canoeing, fishing and enjoying wildlife. Dust off your pumpkin chunkin skills with a pull of the giant pumpkin trebuchet! Canoes will be on the water, and fun fishing activities will delight your inner angler. Bring the kids to bounce and play outdoors while Mom & Dad get a start on the holiday season with gifts from local vendors selling produce and seasonal hand crafted items (just in time for Thanksgiving)! Sit back and enjoy live music and a glass of wine while the kids play. Or, just mosey up to the top of Mount Millican and enjoy the view! A perfect spot to see who chunks pumpkins the farthest! On Sunday, Pumpkinpalooza is all about delicious food and drink. Support our local farmers and artisans as you take in the sounds and flavors of Pumpkinpalooza on Sunday. Farm-fresh produce, delicious baked breads and pastries, grass-fed meat and eggs, fresh cut flowers, and much more will be available to fill your pantry and home. Shop for gifts from talented local artisans, including woodworkers, bee keepers, spinners and knitters, knife makers, and more. The Millican Alliance is a 501 (C) 3 non-profit organization serving the Brazos Valley community. We work to connect our community to nature through high quality education programs and outdoor experiences focused on wildlife conservation, outdoor recreation, the arts, and sustainable agriculture. Children and adults today spend less than half the time outdoors engaged in unstructured activities when compared to prior generations. Time in nature improves physical health, mental and emotional wellbeing, longevity, and general happiness. We believe that communities connected to nature are healthy communities. In the last year, the Millican Alliance has doubled its outreach and programming … leading even more people of all ages back into nature. We have partnered with local schools to host hands-on nature and science education classes throughout the school year. We have expanded the Camp Millican summer camp and youth leadership program, reaching about 300 kids ages 4 to 17 years old and offering 6 weeks of programming. In addition, the Millican Alliance has partnered with the TAMU/USDA AgrAbility program to launch Battle Ground to Breaking Ground, a Veteran Farmer Training program designed to teach Vets returning from combat the skills of farming and ranching. We believe that connecting with nature improves mental and physical wellbeing, and that the health of a community improves as its members spend more time outdoors and in nature. We envision a world where children and adults are learning and playing in nature every day. Our mission is to provide outdoor resources and education and to inspire future leaders in the Brazos Valley so that the community, both children and adults, becomes healthier and energized through an ever-improving connection to nature. On behalf of the Millican Alliance and our educational partners, thank you for supporting our mission and helping us grow as a healthier community. Our goal and pleasure is to bring high quality programs to this region while employing the beautiful Texas landscape as a backdrop for children and adults to play and learn. We value the wonder, creativity and curiosity that is cultivated through a safe and thoughtful interaction with nature. With your help, in the coming year we will continue to expand our footprint by laying a broad framework to grow our education and outreach programs. Thank you, and we look forward to seeing you at Pumpkinpalooza! Yes, the entrance fee is $5 (ages 5 and up are free). Proceeds benefit the non-profit Millican Alliance. The entrance fee includes a free raffle ticket, entrance to the kids zone, Holiday Season Activity zone, live music, and a full day of outdoor fun, including canoeing, fishing and enjoying wildlife. Can I bring lunch on Sunday? Please do not bring food to Pumpkinpalooza. Rest assured that our local market vendors will have many delicious menu options available to suit every taste! Friendly dogs are welcome if they are on a leash and their owner cleans up after them! How can I stay up-to-date on Pumpkinpalooza? Keep checking back here for updates and follow the event on Facebook! If you have questions, you can email us at info@millicanalliance.org. Do you have what it takes to volunteer with us at the Brazos Valley's premier fall fun-fest? We have a wide range of opportunities available, from chunkin' pumpkins to just giving directions with a smile. If you might be interested in helping out for part of this year's Pumpkinpalooza weekend, please drop us a line at volunteer@millicanalliance.org or register online by clicking here. Do you have any questions about Pumpkinpalooza? Let us know below, and be sure to follow us here and on Facebook for the latest updates.